The MM2-0530L is a passive MMIC triple balanced mixer. It features a broadband IF port that spans from 2 to 20 GHz, and has excellent spurious suppression. GaAs MMIC technology improves upon the previous generation of hand assembled, hybrid M2 triple balanced mixers with improved isolations, unit-to-unit repeatability and reliability. 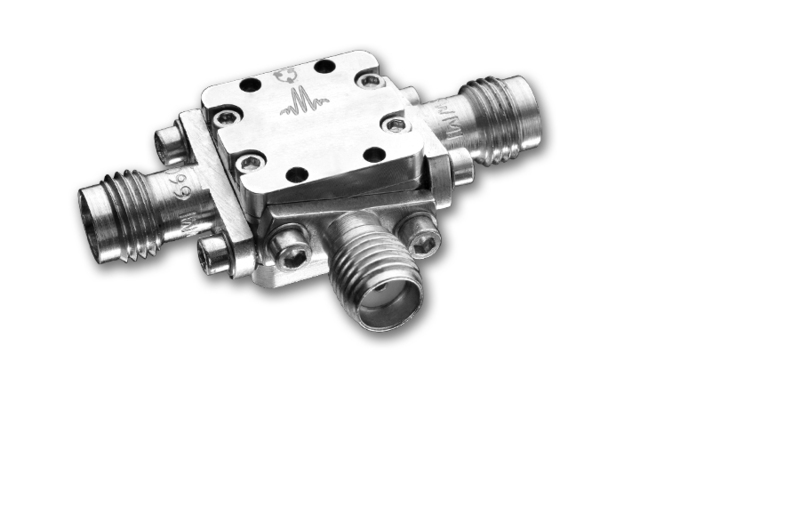 The MM2-0530L is available as a wire bondable chip or connectorized SMA package. Electrical Specifications- Specifications guaranteed from -55 to +100°C, measured in a 50Ω system. Specifications are shown for Configurations A (B). See page 2 for port locations. All bare die are 100% DC tested and 100% visually inspected. RF testing is performed on a sample basis to verify conformance to datasheet guaranteed specifications. Consult factory for more information.